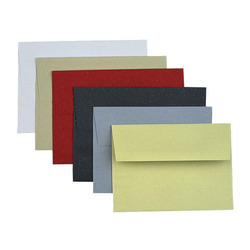 Providing you the best range of raw material for envelope cover, raw material for designed envelope cover and raw material for making envelope cover with effective & timely delivery. We make available Raw Material for Envelope Cover. We make available several options to the customers, depending upon their requirements. These materials are food grade and can be supplied by us in both sheet and roll form. Customers can avail these materials in bulk quantities and at market leading prices. 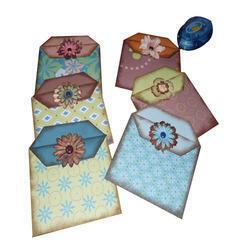 We make available Raw Material for Designed Envelope Cover. We make available several options to the customers, depending upon their requirements. These materials are food grade and can be supplied by us in both sheet and roll form. Customers can avail these materials in bulk quantities and at market leading prices. 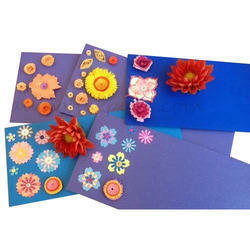 We make available Raw Material for Making Envelope Cover. We make available several options to the customers, depending upon their requirements. These materials are food grade and can be supplied by us in both sheet and roll form. Customers can avail these materials in bulk quantities and at market leading prices.